I participated in an Influencer Program on behalf of Influence Central for Dunkin’ Brands. I received a promotional item to thank me for my participation, but after using the Dunkin Donuts app and signing up the program I really like the program and the app. It really provides the convenience we need as a busy family. Now the DD Perks program is celebrating one year anniversary and have good giveaways. 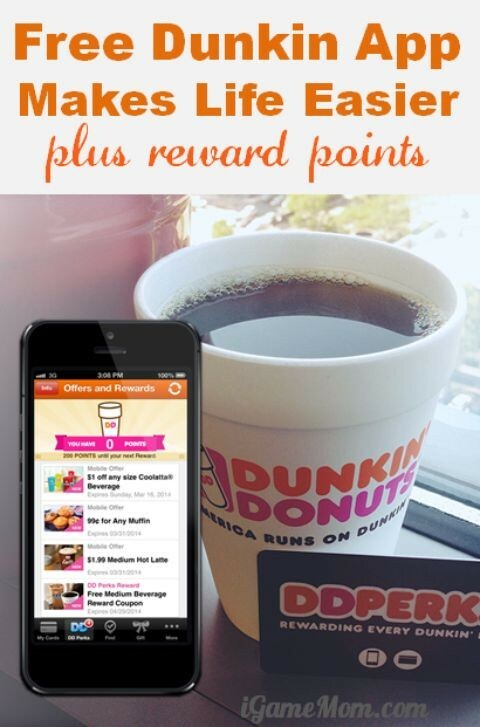 If you are a member already, make sure to use the app with your Dunkin app or DD Perks card before Feb.1, you can then earn an extra 200 points, which will give you a free beverage of any size. If you have not sign up the DD Perks program, it is not too late to sign up. Make sure to download the app and sign up the program within the app, using code BLOG to get more points. How the app fits in our busy life? 1. It is easy to track your purchase and see what you’ve ordered, which are good reminders of the family likes and dislikes. 2. I also like that you can view the menu within the app and decide what you want ahead of time. This can be a big time saver while driving kids around for activities and they need something for drink or snack. 3. It is convenient to find a store while you are traveling. 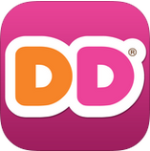 Using the Find feature in the app, you can find nearby Dunkin Donuts. You will find the address, phone number, and you can pull the direction right inside the app. In addition, you can see the open hours, if the store has Drive Thru or Wi-Fi. It makes travel with kids a lot easier. 4. We constantly receive deals. Now we have $1 off any egg while veggie flatbread, and a free Dunkin Go Bar with any beverage purchase. 5. You can send gift cards to friends within the app. Your friend can receive the gift via text, email or Facebook. It can be a gift for a special occasion, or just say I am thinking of you, or a last minute birthday gift. 6. Of course the key benefit of the program is to cumulate member points for free food and drinks. For every dollar you spend, you earn 5 points. 200 points gives you a free drink of any size. That is a free drink of every 15 drinks you buy. DD Perks has been a good program for us, and hope it will be for you too. If you have not sign up for the program, you can download the app using the links provided below and sign up use the promocode BLOG to get extra points. If you are already a member, remember to use the program before Feb.1 to get the 200 points promotion offer. Enjoy!